Your property is unique in its areas for pests to live and breed. Among other pests, bed bugs are a growing and major concern in the hospitality world. Bed bugs can plague both motels and five star hotels alike, causing bitten and angry guests. 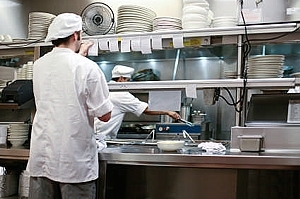 The reputation of your restaurant can be quickly compromised at the sight of pest activity or the detection of a strong unpleasant odour. Traps Pest Control will help keep your business free of pests and reputation intact. We can help in keeping your premies free from a wide range of pests by implementing programs to suit your premises, from rodent and cockroaches to flying insect solutions.